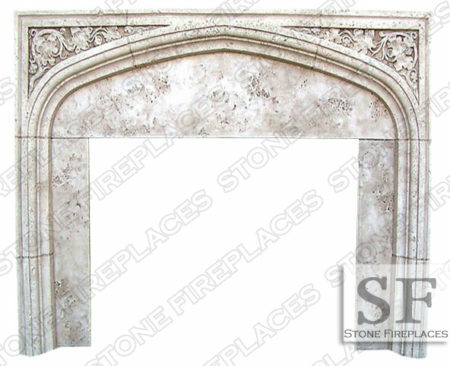 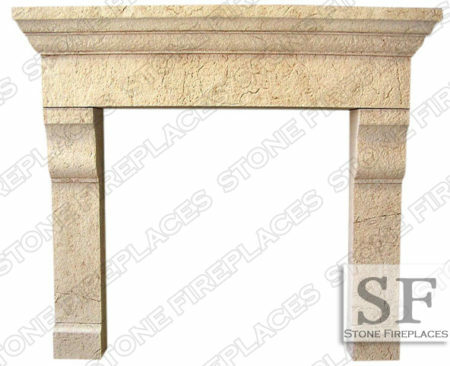 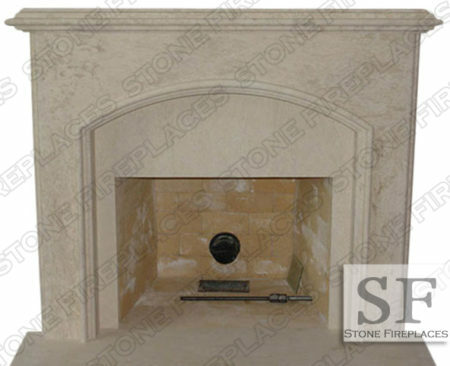 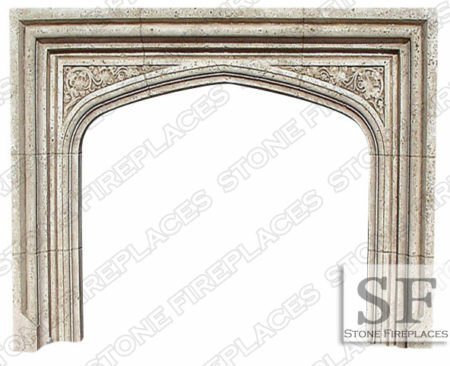 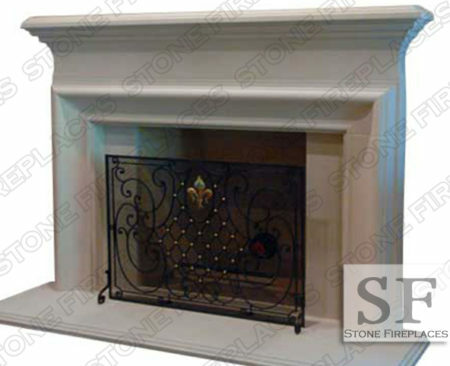 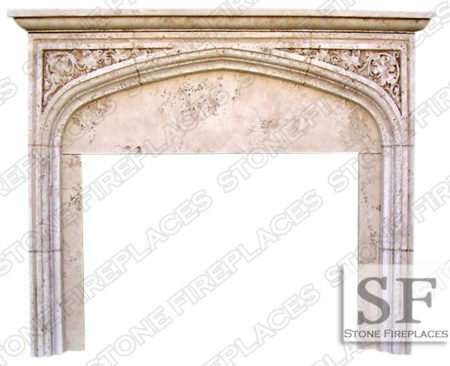 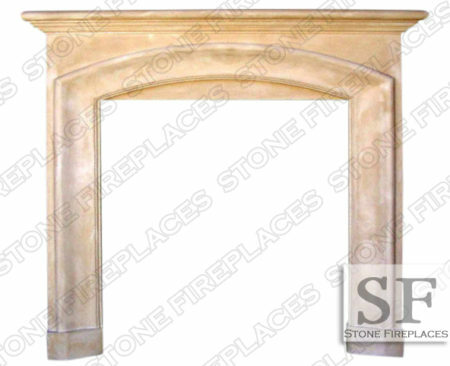 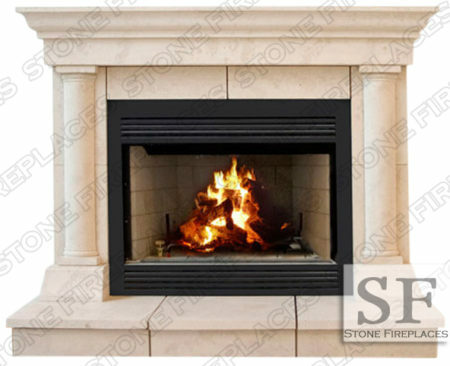 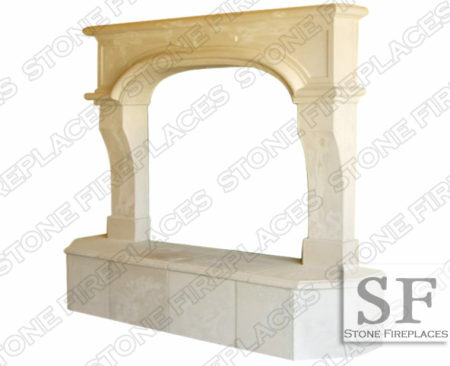 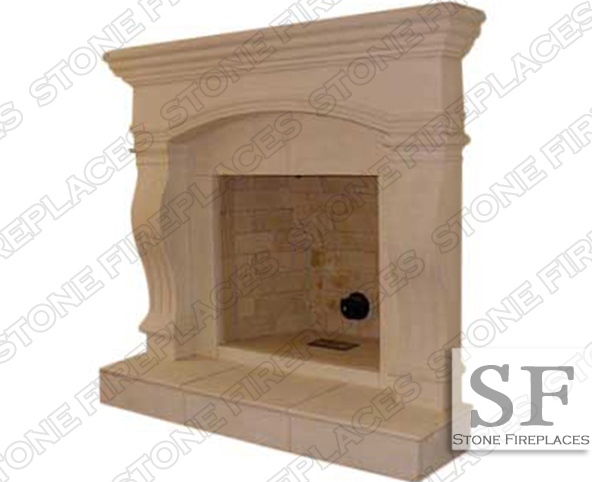 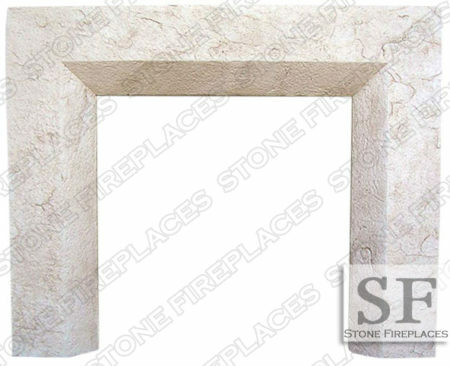 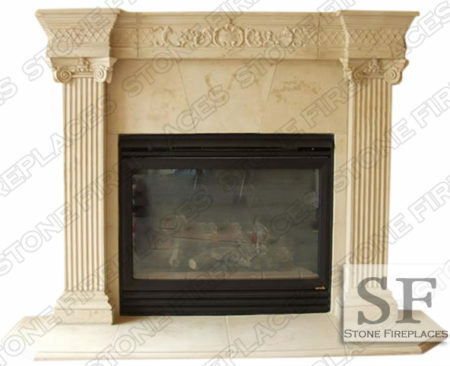 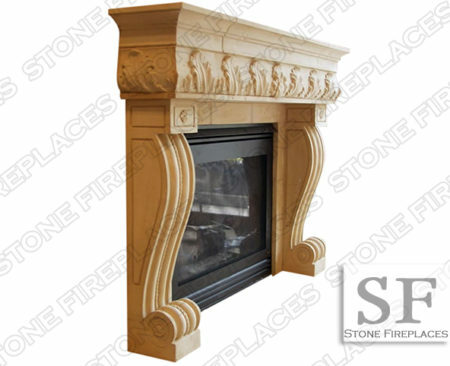 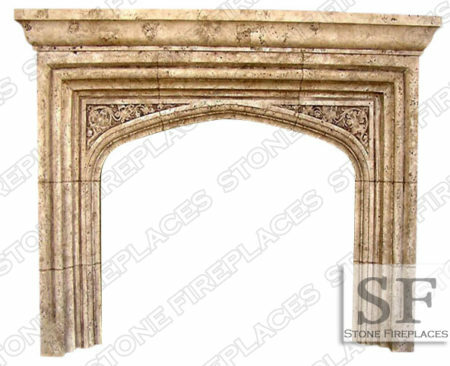 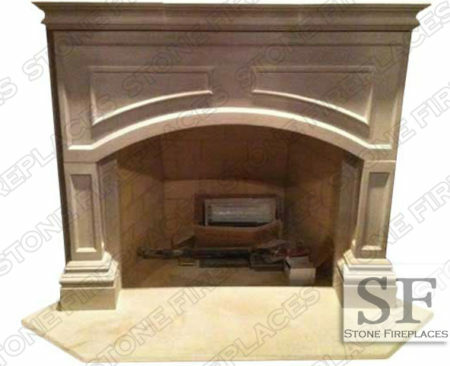 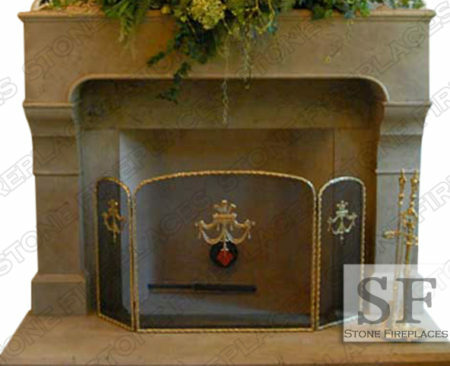 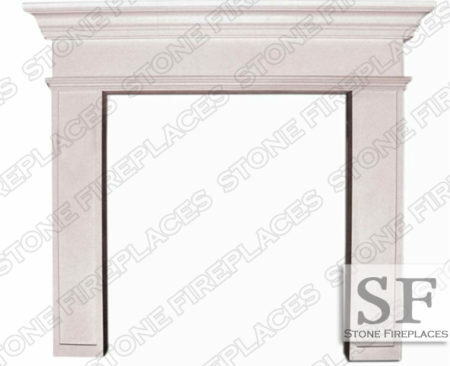 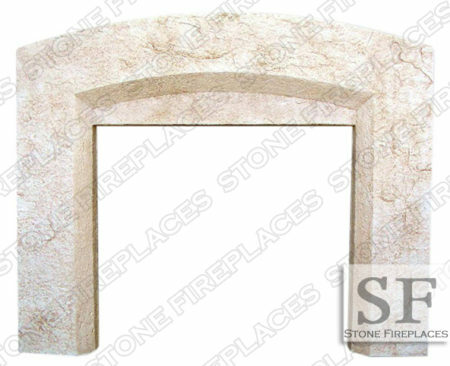 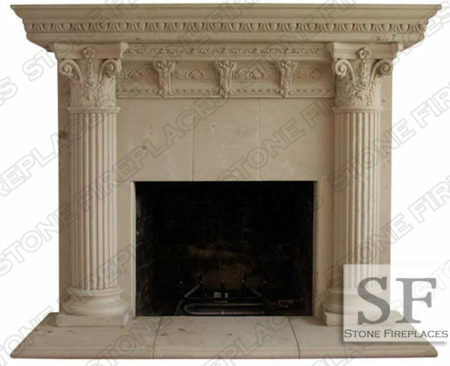 Cambridge fireplace mantel is made from cast stone in this image. 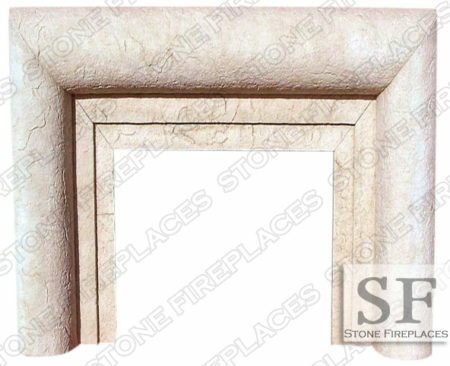 Light cream beige with a smooth finish. 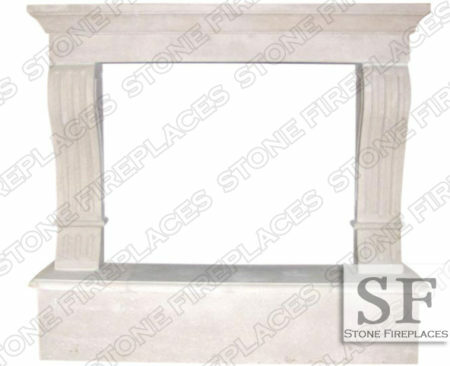 The picture shows a short raised hearth. Raised hearths are an upgrade from a standard 1.25″H hearth. 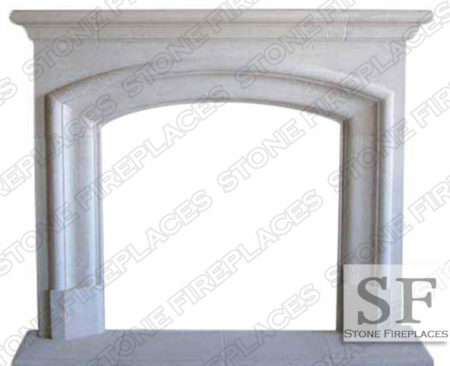 Square brick firebox opening and an arch header. 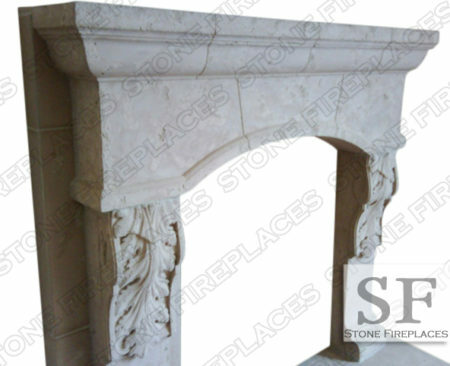 Cast Stone is a man made material. 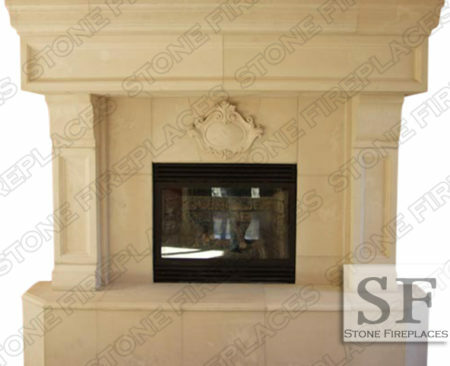 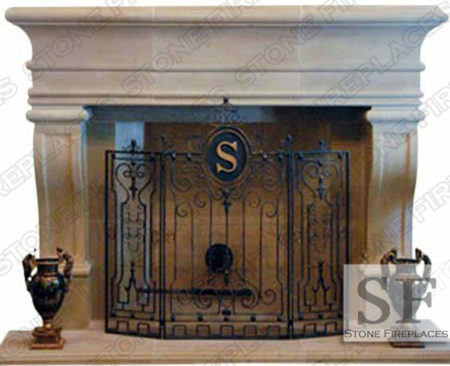 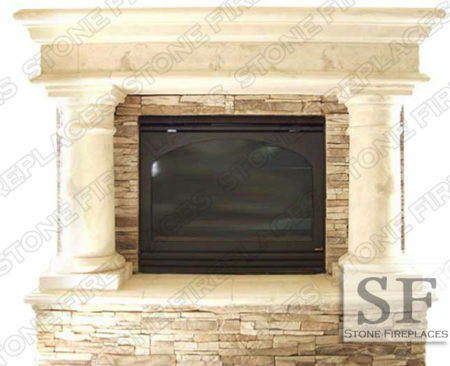 Our cast stone is superior to other versions because we use a high quality matrix that is made up of limestone. 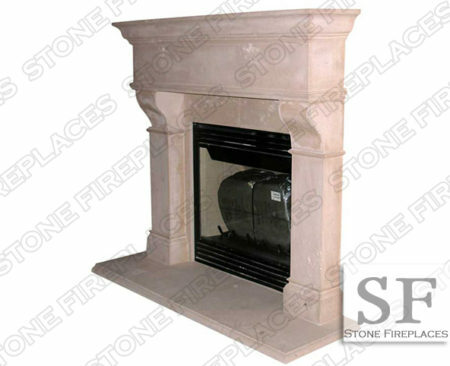 We ship globally and provide installation in areas such as Massachusetts, New York, Chicago amongst other areas. 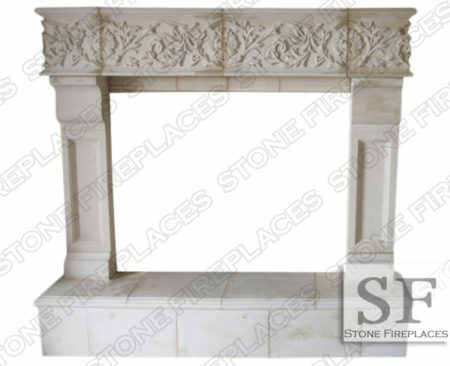 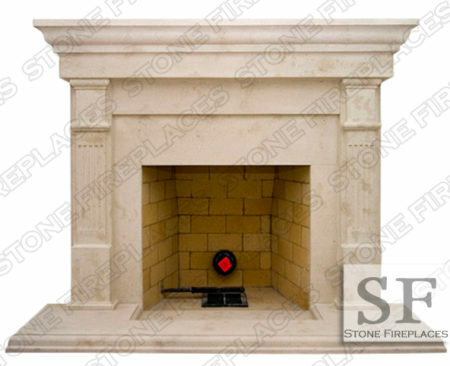 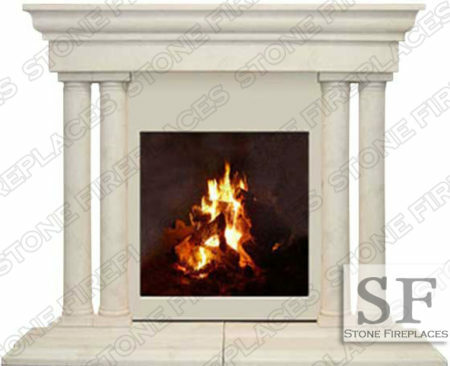 Cambridge MS mantel facing can also be made from marble view the pricing below. 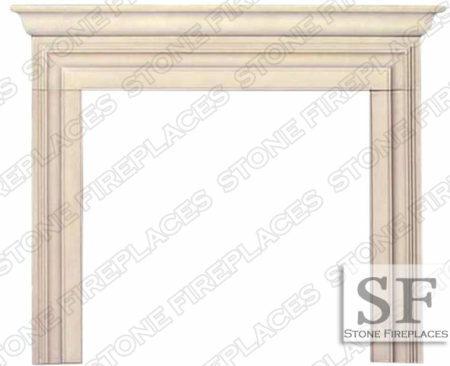 Typical Dimensions: 66″W x 50″H *Adjustable.